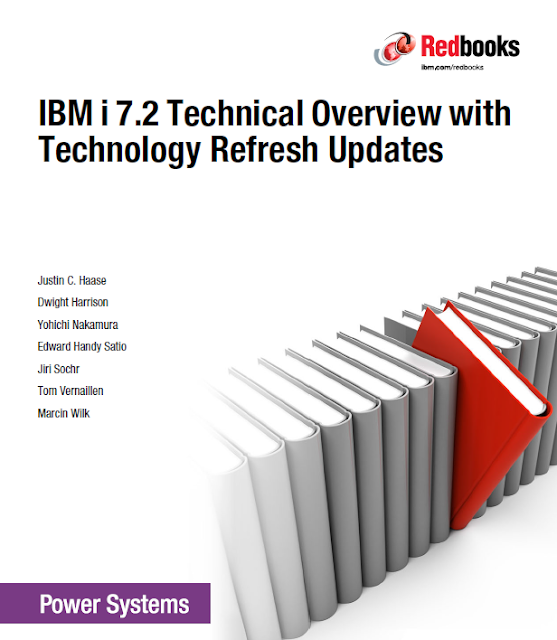 The october brings a new redbook "IBM i 7.2 Technical Overview with Technology Refresh Updates" to the IBM redbook site. This new redbook is the ultimate source to find out what new great goodies IBM i 7.2 brings to your mighty POWER System. And best of all this redbook has a fresh new design which is in my opinion a big step forward. Thank you very much IBM for this great ressources and i really hope that we will see more of this amazing redbooks in the future. how to use lucky patcher and i think it works like a charm. Please post more article like this. Microsoft Corporation is one of the IT giants that prepare IT aspirants with success by its comprehensive and well structured training resources and streamlined certification programs it training and certification..
Space technology in association with other subject helps forecasting weather- its origin, time and magnitude, remote sensing, satellite television, moon mission, astrological predictions technological advancements. The arrangement ENGINEERING MUT of data through a library in a customary shape has experienced radical adjustments. Aftermarket projector headlights are favored by car enthusiasts as the number one first modification on their vehicle. The reason is because most car manufacturer do not come equipped with projectors and it usually available in regular reflective headlights. Also, aftermarket projector headlights feature custom styling with Halo (Angel Eyes) and LED lighting. Aftermarket projector headlights are popular by providing a distinctive look and custom styling that matches your car or truck nicely. Adopting new technology at a work site can be very challenging. There is an expectation that compliance providers adopt new software, including electronic health records. This article demonstrates processes to make adoption of such technology and software easier.
. Moreover, it gives clients a chance to encounter lovely and vivid apps, with material plan and smooth movements, without introducing them on their gadgets. Again the new ones to lead the years ahead! to continue existing frameworks working legitimately so their business keeps on running easily and everybody benefits at last. Great article, recently I purchased an inkjet printer and done some research before purchasing, there is so much information about Information Technology that schools or colleges didn't teach us. But blogs like this does. As my review here continues to evolve, it is increasingly important that people fully understand the "technology state of the company". Last week, Apical Resource Group had our second monthly All Candidates meeting in order to discuss the employment landscape, new initiatives and new hospitality technologies.